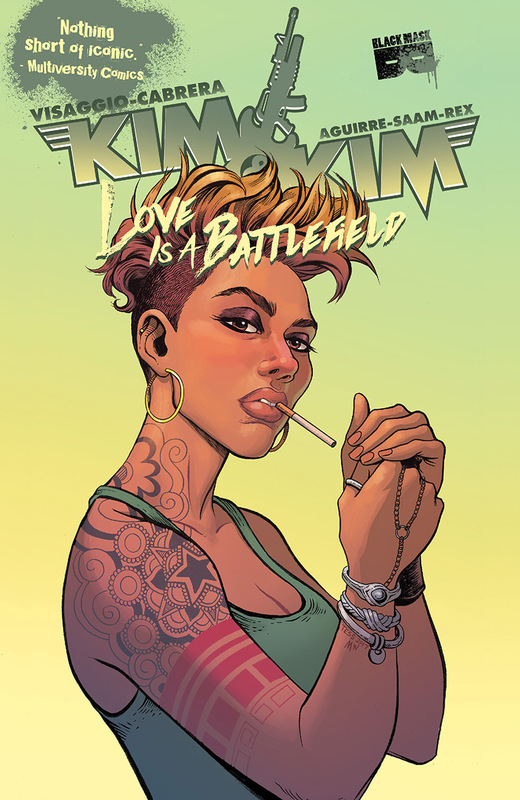 Fresh on the heels of their back-to-back 2017 Eisner Award and GLAAD Award nominations for the 2016 smash KIM & KIM: This Glamorous, High-Flying Rock Star Life, the entire original Kim & Kim creative team rejoined forces for their next great adventure KIM & KIM: Love Is A Battlefield. 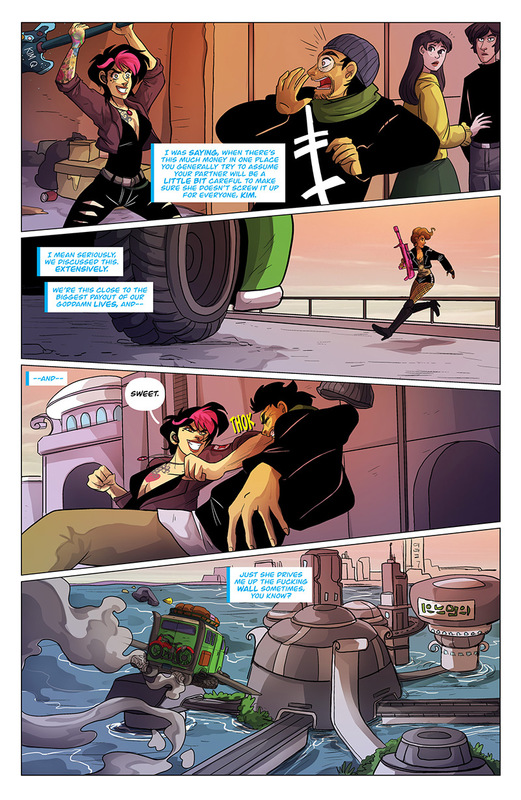 Your favorite badass interstellar bounty hunting duo, down on their luck, scraping to make rent, hooking up with space ruffians, fighting against robots and gorilla-monsters, are BACK in a new collected volume! 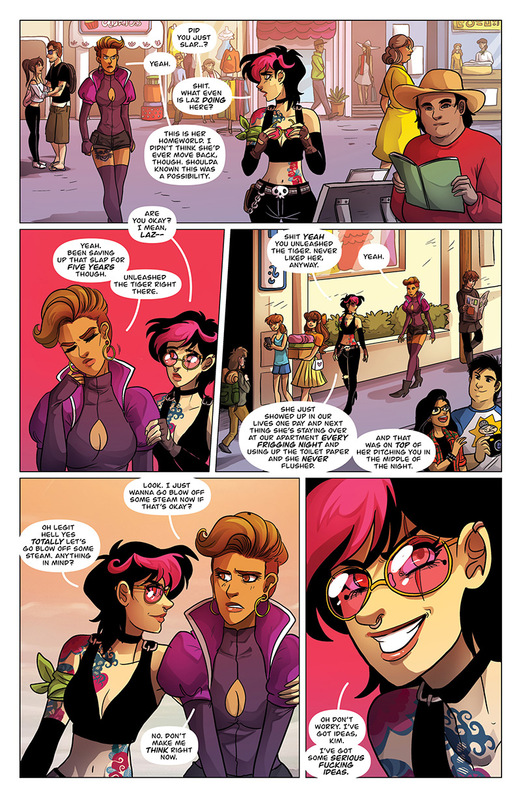 Taking place three years after volume 1, the Kims are a little bit older but not too much wiser as they continue to crack jokes while they crack skulls, always chasing down the next bounty to pay for their fabulous wardrobes, intergalactic bar crawls, and steady diets of Thing-O-Soup. 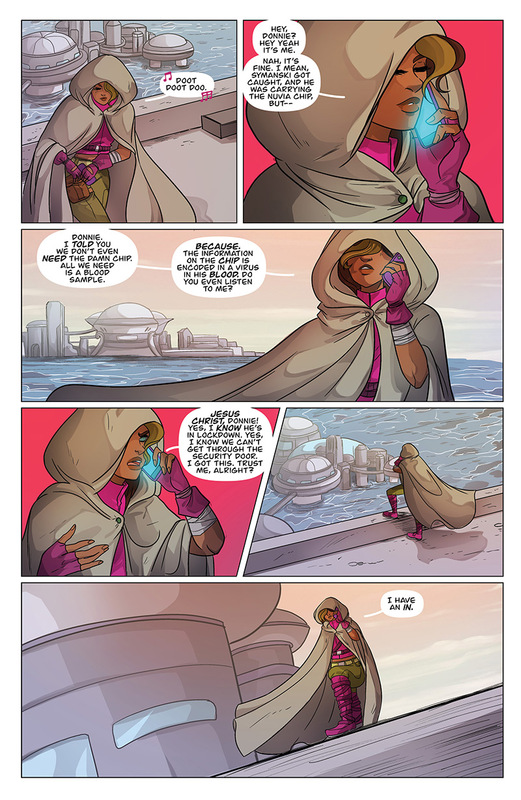 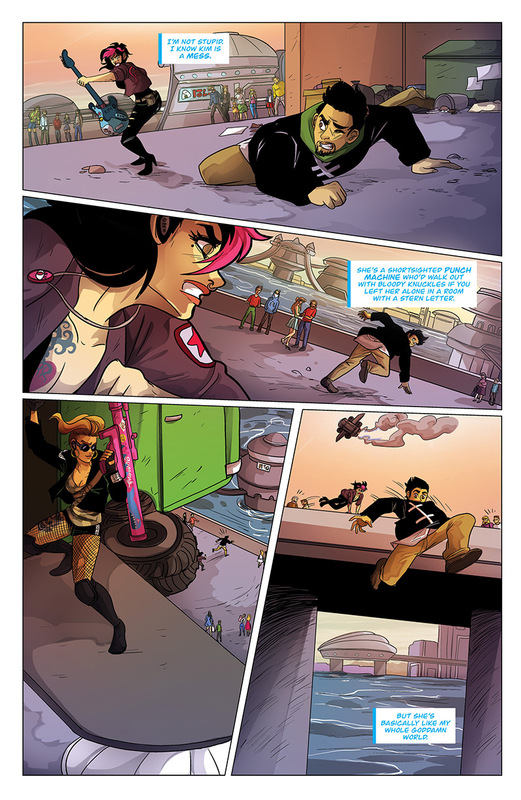 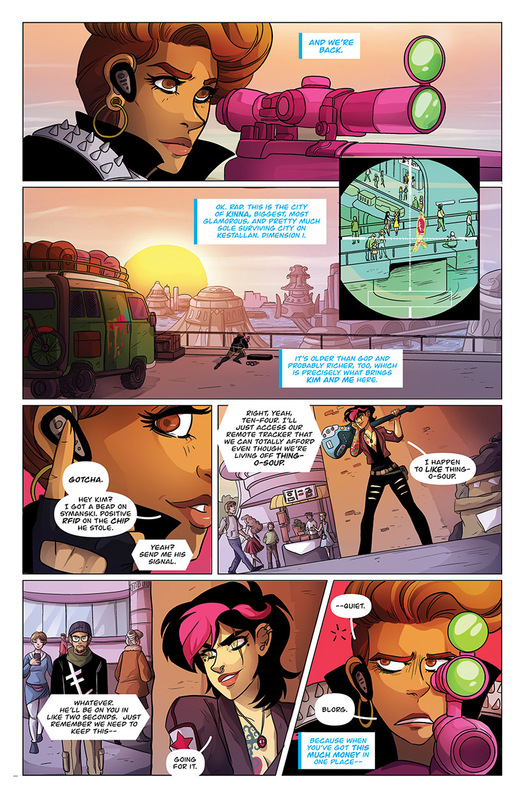 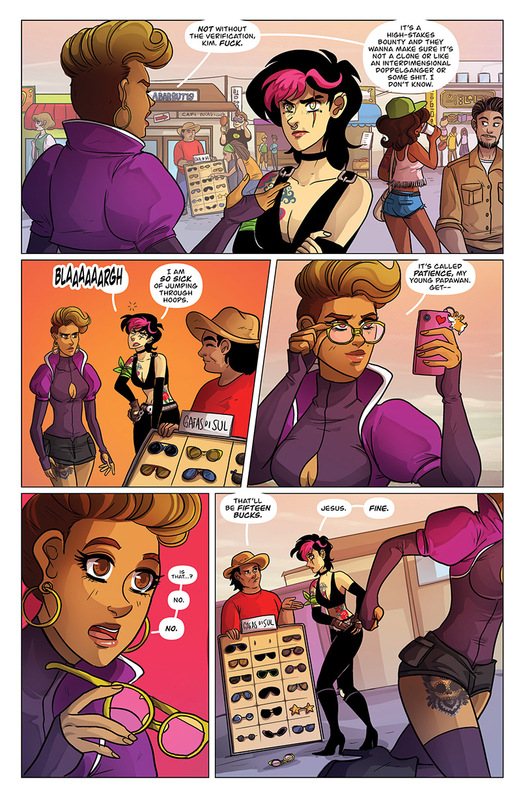 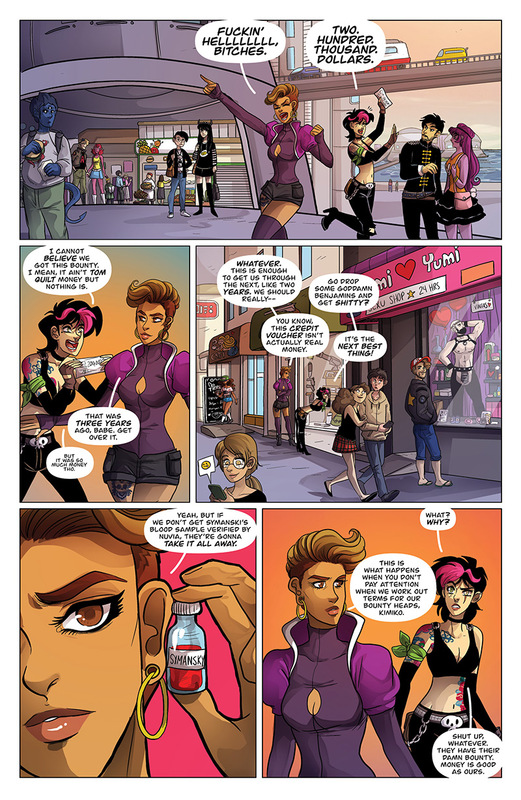 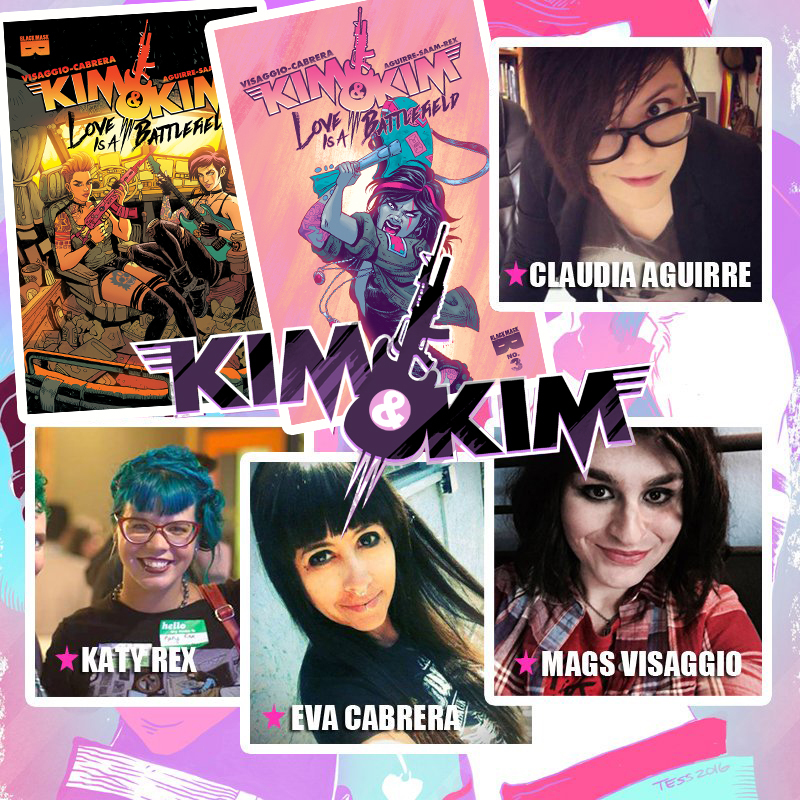 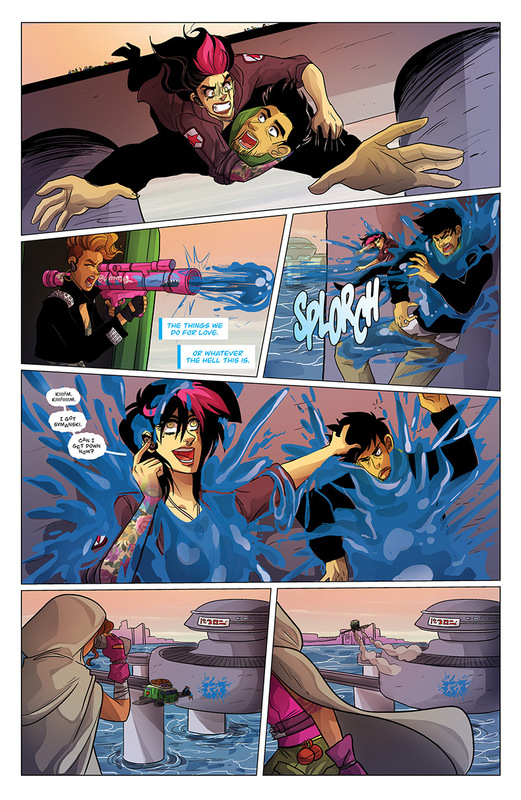 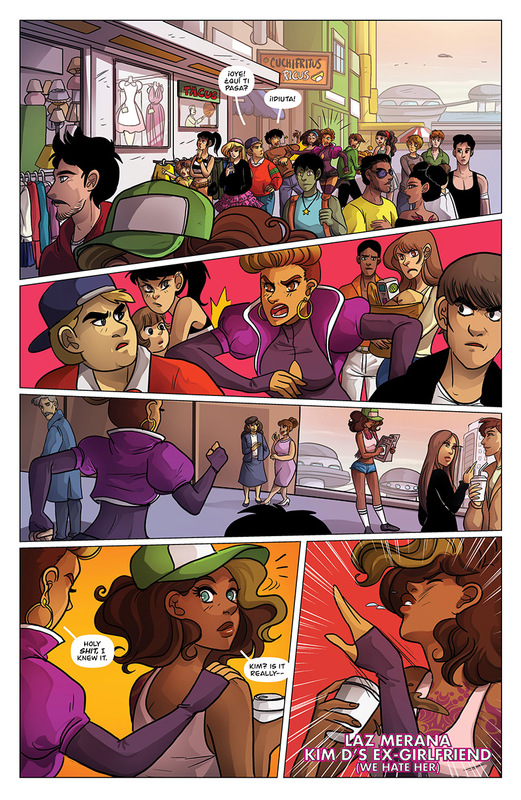 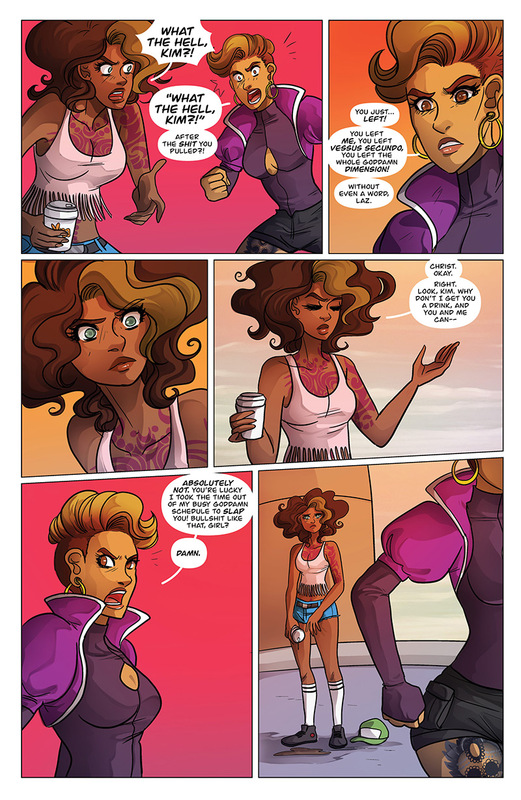 The original creative team of writer Magdalene Visaggio, illustrator Eva Cabrera, and colorist Claudia Aguirre have crafted an all-new adventure, channeling the glitter and glory we love from Kim & Kim volume 1 into a smart, heartfelt adventure about young queer love, dysfunctional families, and unbreakable friendship.